Flip Out Mama: Plastic Jungle Helps You Save Money on Back To School Stuff! Plastic Jungle Helps You Save Money on Back To School Stuff! Ugh. Back To School. Y'all know I have some major issues with the whole realm of B2S activities. The shopping, the supplies, the lunch, the dropping off kids. Sigh. I dislike it all. But, alas, it must be done. So why not save a little cash while you are doing it? I just found out about Plastic Jungle recently, but I sure wish I had heard about them before I tackled the school shopping extravaganza... After shoes, and clothes, and supplies, and lunch stuff, I ended up spending over $250. And THIS IS KINDERGARTEN! O.M.G. I can't even imagine what middle and high school are gonna be like! But Plastic Jungle is here to help. They are a great website that allows you to buy or sell your old gift cards at a discounted price. I mean really?? What a genius idea! 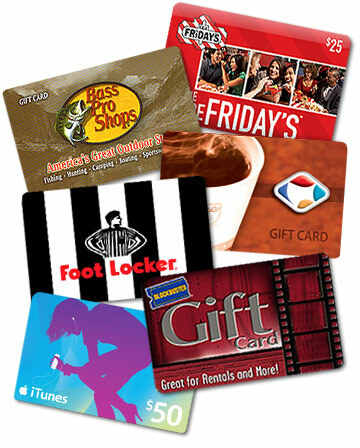 Most people always have unused gift cards lying around, and we ALL need cash, so why not sell em for a little cash!?! You can sell your gift cards and get up to 92% of the face value. You can be paid by Amazon credit, check, or PayPal cash! LOVE LOVE LOVE this idea! What a great way for moms to make a little extra cash! The other side of Plastic Jungle is that you can BUY those discounted gift cards! What a great savings! For example, right now at Plastic Jungle, you can get Kohl's Gift Cards for up to 15% off! You can also get Children's Place Gift Cards for up to 10% off! I mean really? Isn't this the greatest idea? If you are going to spend the money anyway, why not spend less!??? I love both aspects of Plastic Jungle, the opportunity for moms (or anyone!) to make a little extra cash selling unwanted gift cards, and the chance to buy deeply discounted gift cards (UP TO 35% OFF IN SOME CASES!) for the things you really need! If you wanna get in on the action ( and you KNOW you do!) make sure to click here to "like" Plastic Jungle on Facebook where they will let you know about all the great deals you can get! I received a gift card as compensation for this post. No other compensation was received, and all opinions are my own. Now, you should probably stop reading this and go buy a gift card! what a neat idea! i need to look into this!